how do you analyze fun? This week, we'll be playing board games to practice evaluation skills! For this Connect module, we will practice the skills of informative and persuasive thinking, as well as effective discussion skills, as we analyze games. Because of our odd testing schedule this week, each day will be stand-alone - so you won't miss out or get behind when you have to test instead of coming to class. 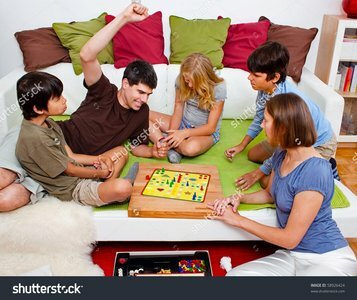 Even people in stock photos enjoy a good board game! How do you tell the difference between informative and persuasive communication? What does a productive discussion look like? Students will understand that informative writing is unbiased, logical writing that accurately conveys an idea. Students will understand that a productive discussion allows for multiple viewpoints and relies on specific examples to back up ideas.